Completed while at James Dayton Design, Ltd. Located on a 120-acre site on a small lake in northeastern Wisconsin, Woodmancote Farm is a private and professional retreat for a Minneapolis family. The clients are owners of a lumber mill that has been the dominant business in the region for generations. 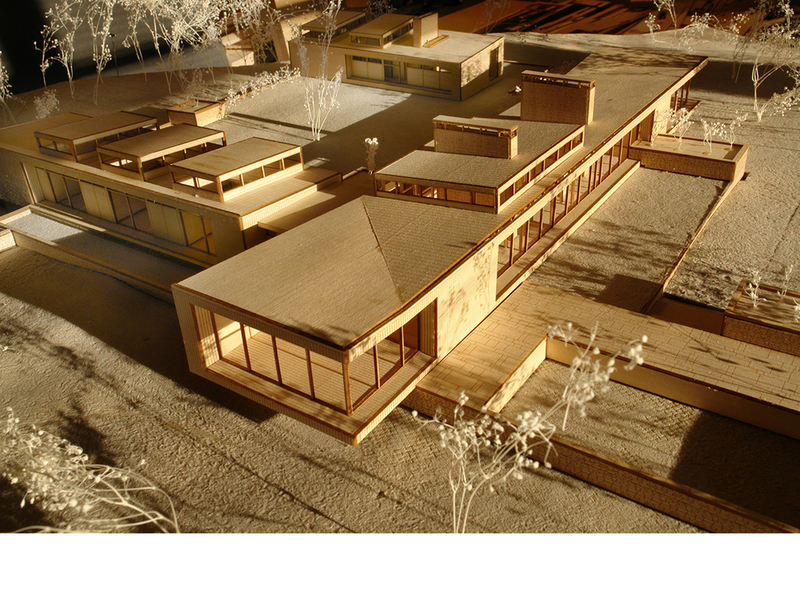 The process inherent in a lumber mill, of natural, raw materials being machined into various refined end-products, formed the conceptual basis for the formal moves and material choices within the project. 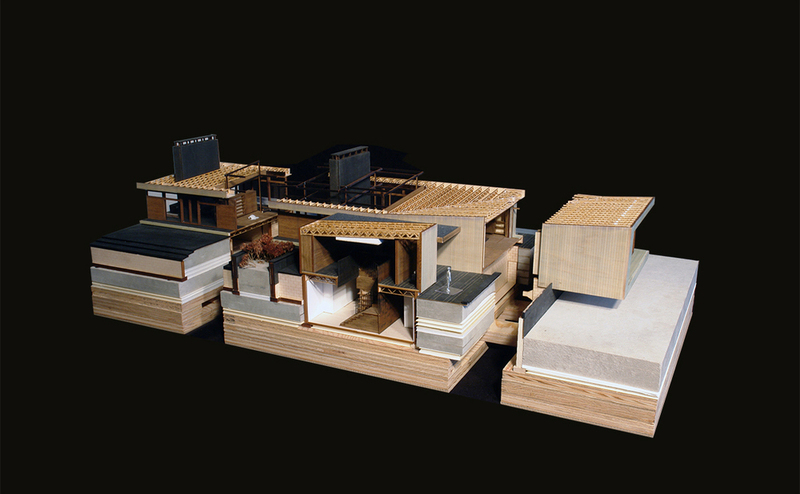 The dialectical tension created by this juxtaposition of raw/refined and natural/machined manifests itself at a number of scales: the project’s orientation to the mill, the relationship of the residence to the dense deciduous undercover, and the changes in materiality that define the progression from the natural environment to the refined interior spaces. Sited on a peninsula on the lake and nestled within the trees, the single-story main house and guest house share a center court. The spatial arrangement of the various programmatic elements is derived from the axial view across the lake to the family lumber mill. Approaching the main house from the north, one is presented with the main bar of client-based program. 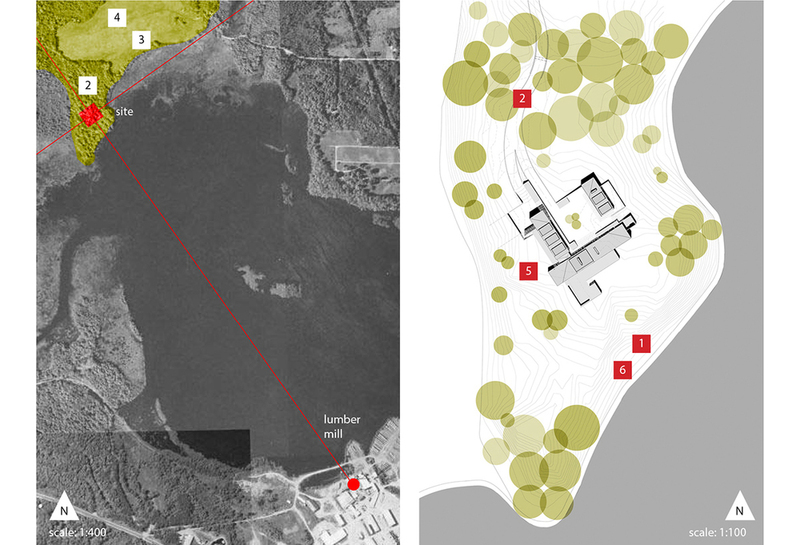 The formal entrance is on axis with the smoke stack of the lumber mill across the lake, orienting the visiting clients. In strategic locations, the weathered cedar siding on the exterior is pulled back to reveal the warm finished wood of the interior. 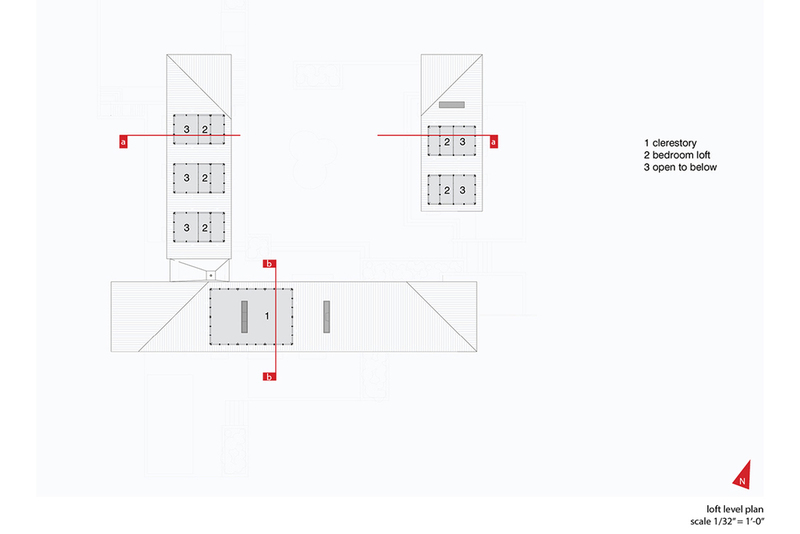 A dialogue between exterior and interior, and raw material and polished end-product is created. Wood, in various species, applications and finishes, is highlighted as the primary finish material in the house. The living and entertaining space is organized with a series of fireplaces and “furniture” elements, which, depending upon the space they help to define, are assigned varying functions, from entry closet to living room storage to a wet bar. Finished in a different species of wood than the wood floor, these furniture elements, in concert with the fireplaces, create a rhythmic counterpoint within the powerful horizontal space perpendicular to the visual axis. 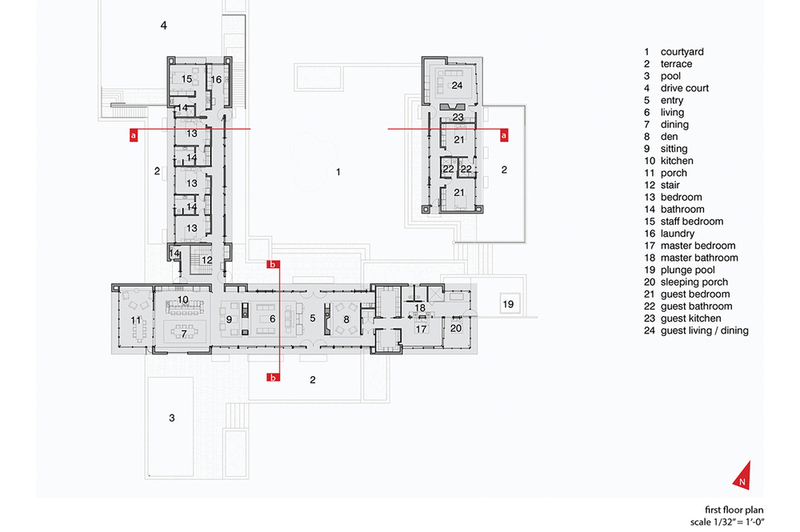 Slate floors delineate primary circulation routes and clerestory elements pierce the roof place helping to define program. As one moves through the project, changes in material, topography, prescribed and serendipitous views and the interplay of light and shadow create a dynamic living and entertaining space.